Uglydog likes to help. 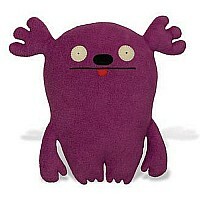 He helps Jeero operate the rope tow and helps OX help himself to different types of snack foods. He thinks you could use some help. Isn't that sweet? Bowow? Uglydog is the ultimate pet too. He won't fetch the paper for you, but he'll make your day feel like a front-page story! Uglydog doesn't really like to sit or fetch or roll over and all that stuff. Beg? No thanks. What he really likes to do is stand on his tail and live out his big dream...to be just like you!!! Except for the waking up early part. 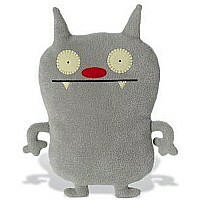 UGLYDOLL UGLYDOG IS 24" TALL Where else is Uglydog? Right here! 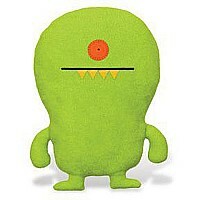 Uglydog Uglydolls Bowow? 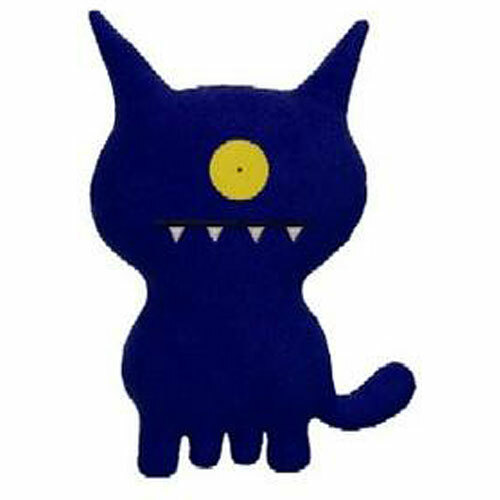 Uglydog is the ultimate pet too. He won't fetch the paper for you, but he'll make your day feel like a front-page story! Uglydog doesn't really like to sit or fetch or roll over and all that stuff. Beg? No thanks. What he really likes to do is stand on his tail and live out his big dream...to be just like you!!! 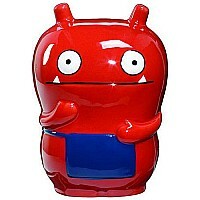 Uglydoll Ceramic Coin Bank Wage Red New!